If you decide to visit the Okaloosa Boardwalk, then you have to make a stop at The Crab Trap. Locals and visitors love this seafood restaurant for its amazing beachfront patio and delicious food. You can take in the beautiful ocean views while munching on the hot crab dip. It’ll quickly become one of your family’s favorite restaurants to visit. Specialty Dish: You have to try the Alaskan crab legs when you go to The Crab Trap. The casual atmosphere at The Gulf is what draws visitors to this restaurant all year long. Their seasonal menu features fresh and local ingredients. You can browse the gift shop at The Gulf to kill time while you wait for your table. Most of the seating is outdoors which gives you and your family plenty of space to stretch out. Try any of the seafood dishes and you’ll be sure to leave with a smile on your face. Specialty Dish: Guests absolutely love the fish and chips paired with malt vinegar aioli. For those looking for good old fashioned steamed seafood, Old Bay Steamer is the restaurant for you. This is one of the best restaurants near Okaloosa Island FL because they offer fresh seafood with exceptional service. The menu features steam buckets which can either be for one person or shared by a pair. Specialty Dish: You can’t go wrong when ordering “The Little Steamer” which comes with snow crab clusters, royal red shrimp, oysters, mussels, clams, corn on the cob, and new potatoes. For more than 30 years, Hightide Seafood Restaurant and Oyster Bar has been a local family restaurant favorite. The oysters are known for being fresh and shucked to order. It’s the best place for oyster lovers to get their fill of tasty seafood. 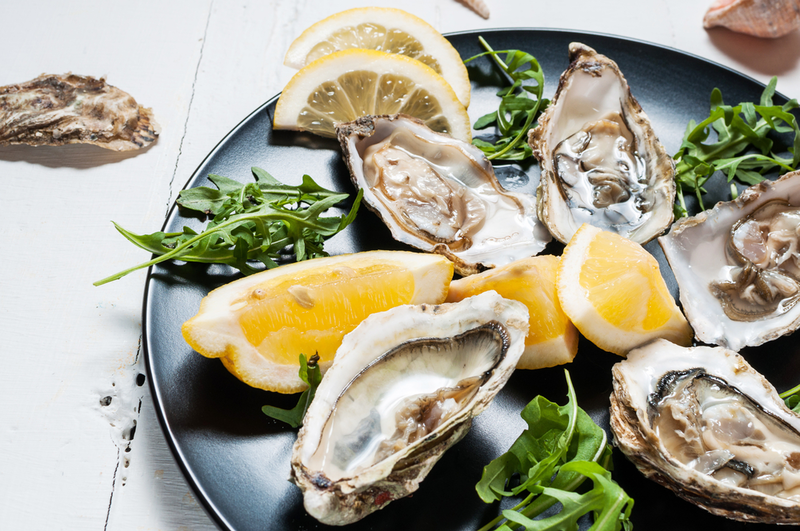 If you aren’t a fan of oysters, their menu also features steamed or fried seafood, crab legs, soft shell crabs, shrimp, oysters, steaks and chicken. The whole family is guaranteed to find something they like. Specialty Dish: Raw oysters on the half shell are in high demand at Hightide Seafood Restaurant and Oyster Bar. You can enjoy all of these tasty restaurants near Okaloosa Island FL on your next beach getaway. Check out our Okaloosa Island vacation rentals and get ready to enjoy a blissful island vacation! OPEN Apr 21 to 23 $530! OPEN Apr 20 to 22 $837! OPEN Apr 20 to 22 $743! OPEN Apr 14 to 16 $706! OPEN Apr 28 to 30 $736! OPEN Apr 19 to 21 $725! OPEN Apr 21 to 23 $468! Budget Friendly -Real Joy Fun Pass -Beach Side Pool! $1150/mo 4 Winter! OPEN Apr 20 to 22 $781! OPEN Apr 14 to 16 $661! OPEN May 5 to 8 $1,040! OPEN Apr 27 to 29 $536! Gulf Views! Real Joy Fun Pass - Beach Side Pool! * $1200/mo 4 winter! OPEN Apr 13 to 16 $722! OPEN Apr 19 to 21 $834! OPEN Apr 19 to 21 $636! OPEN Apr 19 to 21 $690! OPEN Apr 18 to 20 $670! OPEN Apr 19 to 21 $608! OPEN Apr 20 to 23 $648! OPEN Apr 15 to 17 $759! OPEN Apr 14 to 16 $830! OPEN Apr 15 to 17 $532! Come to Emerald Isle, where emerald waters and sugar white sands abound! The Emerald Isle vacation rental complex is situated right on the beach on gorgeous Okaloosa Island. The northern view is of the Sound, part of the… Read More. This lovely complex is located in Okaloosa Island across the street from the perfect public beach, with restrooms, and showers, even parking. This beach tends to be much less crowded than others in the Destin area, as it… Read More. Vacation rentals at the Island Princess on Okaloosa Island offer a smart bet for your next beach getaway. Watch dolphins frolic from your own private, gulf front balcony. Or take a swim in the lovely, gulf front pool (heated… Read More. Vacation rentals at Island Sands gives you the best of both worlds here - you'll be minutes away from Destin yet this small 27 unit complex offers a peaceful retreat and a quiet, less crowded beach on Okaloosa Island. Island… Read More. The Islander Beach Resort is a beach front complex on gorgeous Okaloosa Island with everything you need for a wonderful vacation on the white sandy beaches of the Gulf of Mexico! Vacation rentals here offer a peaceful retreat… Read More. Nautilus is a lovely beachfront complex on Okaloosa Island. Vacation rentals here enjoy an amazing heated pool, a BBQ area with grills & a picnic table, ample parking & a small market adjacent to the parking lot.… Read More. Built in 2003, Pelican Isle on Okaloosa Island is a world-class resort property. Vacation rentals here enjoy amenities such as a gulf front pool heated to 85 degrees year round, oversized gulf front hot tub, gulf front park-like… Read More. Built in 2005, Sea Dunes, a small complex of only 24 condos on Okaloosa Island gives you a lot of bang for your buck! Vacation rentals feature upscale furnishings such as granite countertops, eat in bars and tile in all the… Read More. Sea Oats is a beachfront complex on Okaloosa Island. Vacation rentals include an outdoor community pool and gazebo style hot tub, spacious poolside deck and lounge area-perfect for winding down after a long day on the beach… Read More. Seacrest Condominiums is a terrific, family oriented, affordable complex on secluded Okaloosa Island, just minutes away from all the attractions offered by Destin! This great 90-unit building features both an indoor and an… Read More. Now, about Waterscape on Okaloosa Island - it's fabulous! Vacation rentals here boast a courtyard that will make you think you're in a 6 star caribbean resort. Boasting amenities like Waterscape's own Private Beach, expansive… Read More.